Have you checked the logs? i.e. "docker logs iristest2" Also it looks like when you are defining your ICM_SENTINEL_DIR environment variable you are using "--e" and not "-e". I'm pretty sure you need to use either "-e" or "--env"
When I tweak the script slightly I get the following error, putting both --env options before the image name. noticed it has created a iconfig folder on my nfs share but nothing else and nothing else inside, it did moan on the previous attempt that it couldn't find the password and license files so moved them down a folder level. 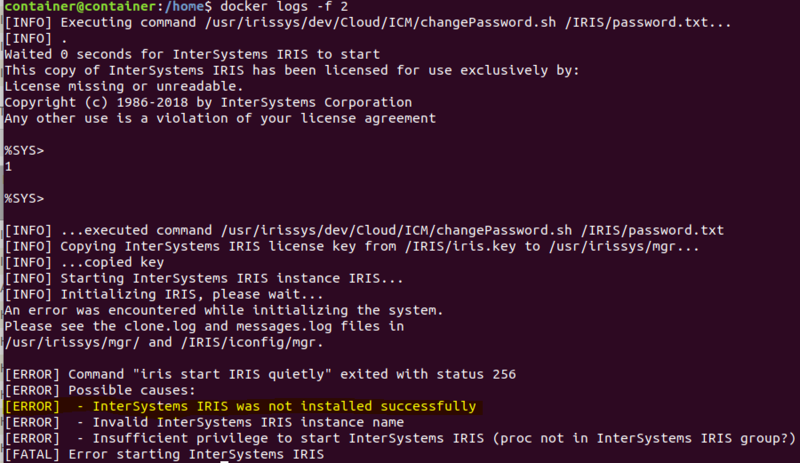 And while you trying to use durable %SYS, you look at IRIS log /nfs/IRIS/iconfig/mgr/message.log.